Nels Christensen, age 87, of Aurora, formerly of Marquette, passed away on Thursday, August 23, 2018, at Memorial Hospital in Aurora. 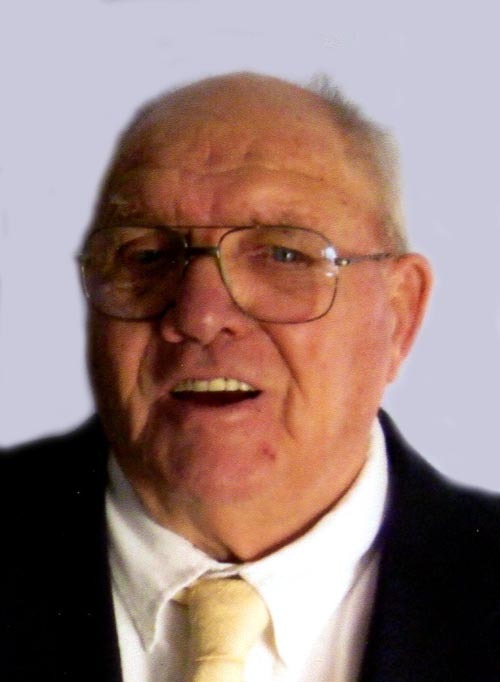 Nels Hans Christensen, the son of Jens and Viola (Lagoni) Christensen, was born on a farm 1 mile west of Marquette, Nebraska on January 25, 1931 and passed away in Aurora, Nebraska on August 23, 2018, at the age of 87. He went to Country School District 89, west of Marquette. He then went to Marquette High School from 1944 until he graduated in 1948. His mother died March 13, 1935 and his father raised the four children. His father died January 3, 1963. Nels was united in marriage to Frances Louise Grella on March 5, 1950 at St. John’s Lutheran Church in Kronborg. They lived on a farm outside Central City and then moved to Marquette where they lived much of their life. They retired to Arizona in 1995 and moved back to Aurora in 2003. Nels loved woodworking and scroll sawing and was very proud of his work including his annual Christmas tree at the Plainsman Museum decorated with his handmade ornaments. Those left to cherish his memory are his wife, Frances of Aurora; three children, Roger Christensen of Aurora, Rose (Mark) Martin of Hayward, CA and Christine (Christopher) Garraway of KY; 9 grandchildren, Jennifer (Brian) Thomas, Yvonne (Chad) Carlson, Angela (JT) Reisdorph, James Martin, Shawn Djernes, Melisa (Hugo) Mendez, Stephanie Frauendorfer (Aaron Chapman), David, Jr. (Amanda) Frauendorfer and Daniel Frauendorfer; 14 great-grandchildren, Kyle & Kaleb Thomas, Kyla, Caden, Jenna and Ryan Carlson, Sydney and Jackson Reisdorph, Maximus, Monica and Xavier Mendez, Grace, Mason and Colton Chapman, Peyton and Cooper Frauendorfer. He is also survived by his sister Elvera (Dwight) Willcock of Stockham, sister-in-law, Jayme Grella and numerous nieces and nephews. He was preceded in death by his parents, infant daughter, Joan Teresa, daughter, Rachel Brummund; sisters, Alice (Vernon) Higby, Ethel (Arvid) Johansen, brother-in-law, E.M. Grella, nephew Larry Higby and niece Judy Roehrs.